The area around Tay Ninh was beautiful, when not damaged by war. This album has pictures taken in the 25th Division’s Area of Operation. Farms growing rice covered the area but unlike the Mekong Delta to the south, the land dried when the rainy season ended, as did the laterite roads. Operating equipment on them in the wet season was a nightmare. 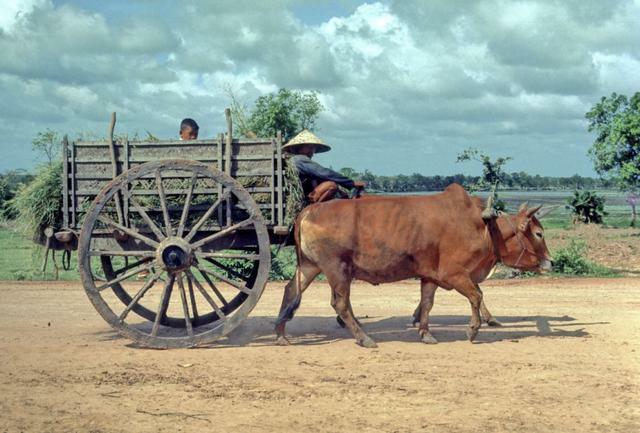 Their roads were built for ox carts, not mechanized vehicles.